Happy New Year! Yes it’s time to adopt a forced sense of ambition and get bettering yourself for a little bit until the inevitable happens and you still remain eating an entire bag of Doritos in one sitting. However one thing that can continue to exist is our collective love of music from all over the world, and today we are kicking off this New Year’s worth of reviews with a rarely seen modern day jazz record. 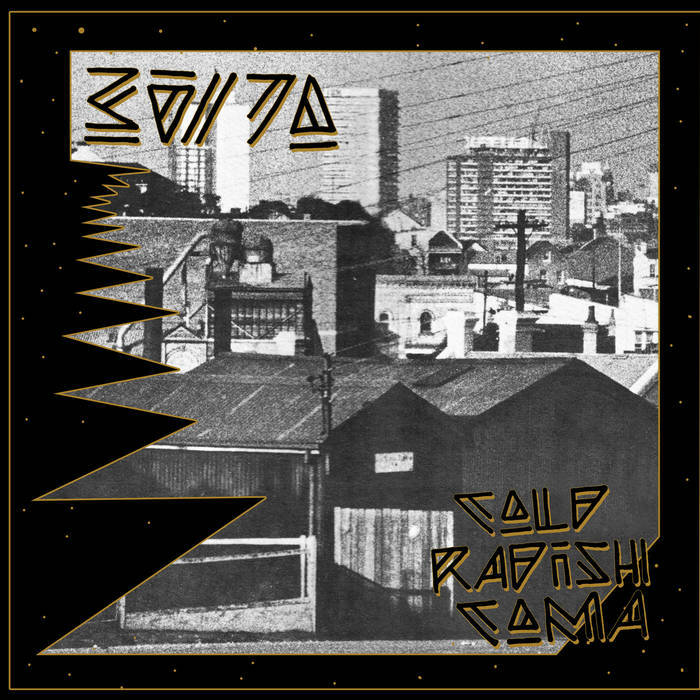 The album is Cold Radish Coma by Australian band 30/70 and well, it’s pretty good actually. Source kicks off the record with an instrumental that shimmers and glitters it’s way into the eardrums complete with percussion and a sense that things are about to get jazzy, and sure enough, things get jazzy. The main riff is composed of an off kilter drum beat alongside a walking bassline and horns that add a little bit of poppy accessibility into the mix – this section already creates an intriguing case of the wonderments and fortunately 30/70 maintains this level of eccentricity throughout. This is an excellent track which allows the listener to slip into the sound of 30/70, and it does create a nice set up for the following track The Strut – which is my personal favourite on the album. Once again a lush instrumental kicks things off immediately though it allows the bass to play a line that’s got a lot of swing and groove to it, which in turn allows the other instruments to work their way around it to produce a very enjoyable sound. Cold Rush Coma from then on takes the listener through a journey of insane horn noodling which slips into another seductive instrumental in the delightful Das Dank before introducing the first of many short bursts of sound which appear to be little snippets of additional jazzy goodness before the record resumes back to its regularly scheduled songs with the lovely Local Knowledge. The rest of the record delivers an elegant display of music that’s full of harmonies, melodies and reasons to keep returning to it over and over again. 30/70 have produced a wonderful album in Cold Radish Coma. It is full of great material that compliments the eardrums nicely – the amount of instruments they incorporate into their sound is astonishing, and the way that they’ve managed to produce songs that could appeal to anybody is just a testament to their talent. This is a great record, and yeah, happy new year indeed. Stream Cold Radish Coma below, and for more music reviews, interviews and good music check out Exploding Head Syndrome on Facebook and Twitter.